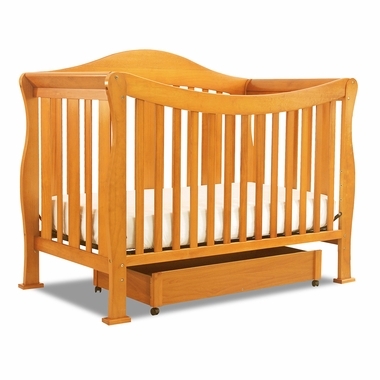 Well built and beautiful describes the DaVinci Parker 4 in 1 Convertible Crib - Oak. Made of pine wood, this crib will last through every conversion, when transforming from crib to toddler bed with included rails all the way to the front and back rails being used as a full size head and footboard on a full size bed (full size rails sold separately). When your baby is ready for a big kid bed you won't need to buy a new one, just transform this crib to whichever size fits best. Keeping the same bed also makes this transition easier for your growing child. 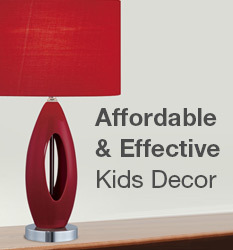 The Oak finish really makes any room decor feel warmer and more cozy. While the timeless design of this crib will look beautiful through every transformation. It's also extra baby-safe because it has a static side, that's lower, so it's easy to get baby in and out without having to drop the side down possibly causing baby's fingers to get pinched. It also meets all US safety standards so it's sure to keep your baby and later teen sleeping soundly and safely every night. Features 4 level metal mattress spring system to adjust to your child's growth. Features a static side with no moving parts. Day bed conversion rail kit, full size headboard and footboard included. Assembled in the USA. Meets and exceeds all US safety standards.